Zero = abundance: Design your own happiness. 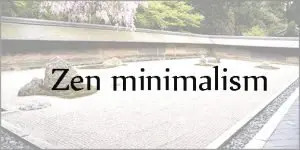 Zen played an important role in shaping what we consider “Japanese aesthetics” today which are associated with the minimal, the simple and the quiet. Find out how Zen, a school of the “Great Vehicle” Buddhism, elevated its core tenets “kuu (emptiness)” into a crystallized form of the minimalist arts. 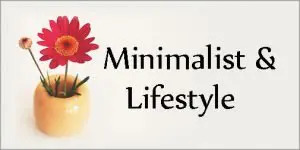 Introducing “less is more” to your lifestyle is not limited to simply reducing the number of things you own. Opportunities become boundless when we open ourselves up to our own abilities and potential. Leading brands such as MUJI show you how. 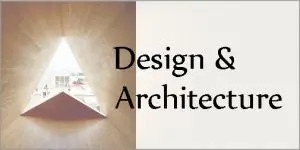 Design and architecture are the catalyst for us to interact with the outside environment proactively and lead a fulfilling life without relying on “more.” We cover inspiring design and architecture stories, especially events/exhibitions that take place in Japan. If we leverage “less is more” collectively, we can transform the way we create, produce, work and live together into something much more accomplished. You may be surprised how effective “less is more” is in business and social design to foster happy relationships between all kinds of stakeholders. Toyo Ito and "Home-for-All" (Minna-no-Ie) - Can People Shape Architecture? Architect Toyo Ito has been on his journey to re-define the purpose of “modern architecture” through his disaster relief efforts following the Tohoku Earthquake/Tsunami that affected Northeastern Japan in 2011. 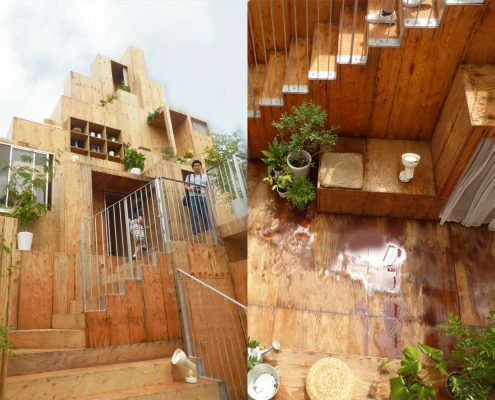 Learn about his efforts through his "Home for All" project and the Venice Biennale 2012 Japan Pavilion: "Architecture. Possible here?" 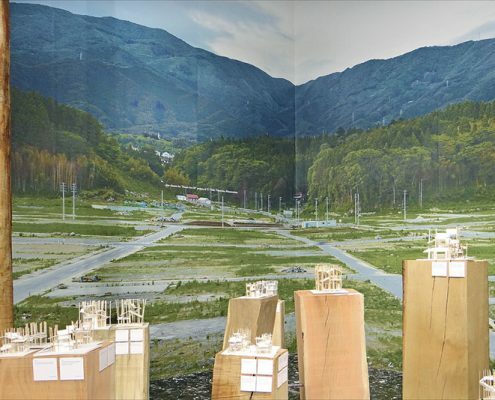 http://www.interactiongreen.com/wp-content/uploads/2018/02/Venice-Biennale-Japan-Pavilion.jpg 534 800 mihoyofuji@comcast.net http://www.interactiongreen.com/wp-content/uploads/2016/05/log-top.jpg mihoyofuji@comcast.net2018-02-15 01:52:482018-10-21 06:27:51Toyo Ito and "Home-for-All" (Minna-no-Ie) - Can People Shape Architecture? 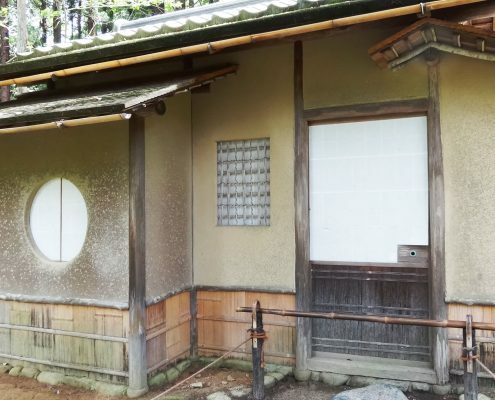 "Tai-an" is the ultimate small tea hut, designed by the legendary tea master Sen no Rikyu. According to architect Kengo Kuma: "You won’t understand what Tai-an is all about until you actually crawl into this small hut and experience the very moment when the building, which is almost as small as your body, starts dissolving and enveloping your body softly and lightly, as if it were your clothes." 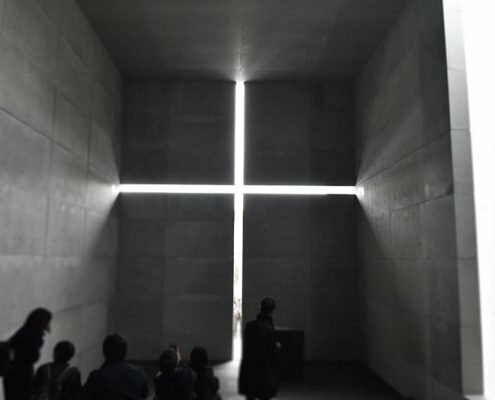 Tadao Ando re-created the “Church of the Light,” one of his landmark works he designed in 1989, at the exhibition “Tadao Ando: Endeavors” held in Tokyo in 2017. It is stunning to see how light meets concrete, inside meets outside, and how people face nature through this remarkable piece of architecture. 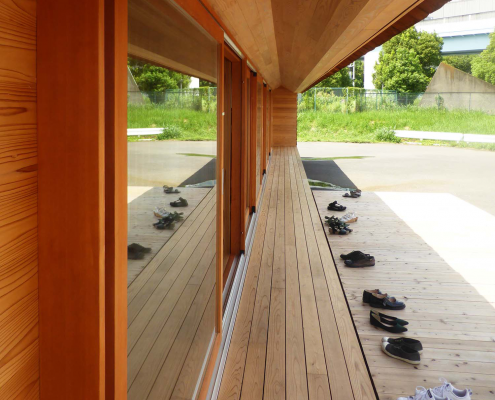 Engawa, the narrow wooden strips attached around the periphery of a house has been an indispensable part of the traditional Japanese house, functioning as a sun porch, a workshop, a venue for socializing and a buffer to shield the house from harsh weather. 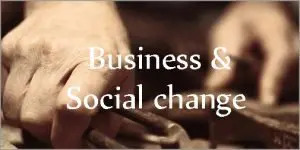 Learn more about its various faces and versatile applications. Japanese food can be unhealthy and non-natural. Debunk common myths about Japanese food by remembering "less is more" philosophy. 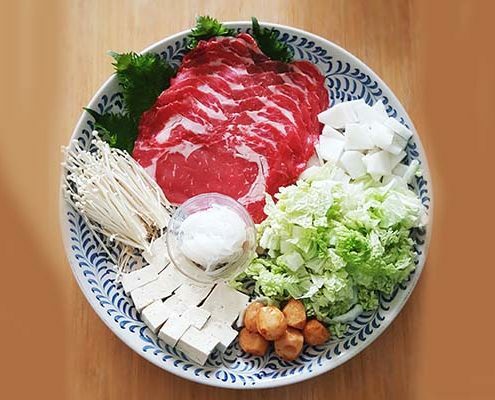 http://www.interactiongreen.com/wp-content/uploads/2017/04/Shabu-shabu.jpg 400 500 mihoyofuji@comcast.net http://www.interactiongreen.com/wp-content/uploads/2016/05/log-top.jpg mihoyofuji@comcast.net2017-04-04 22:45:542018-05-06 17:12:28Debunking the myths of Japanese food: is it really healthy and natural? What's the common secret behind traditional Zen arts/culture, wabi-sabi, MUJI, Japanese architecture, sushi and Totoro? It's the unique approach toward nature. Kenya Hara and the aesthetics of "emptiness"
Kenya Hara is a Japanese graphic designer who helped cement the philosophy of Japanese brand MUJI by leveraging the concept of “emptiness.” Even though these concepts might appear similar, “emptiness” in Japanese aesthetics is different from Western “simplicity,” observes Hara. Ultimately it has to do with how we perceive our relationship with nature. http://www.interactiongreen.com/wp-content/uploads/2017/02/White-by-Kenya-Hara.jpg 2217 1500 mihoyofuji@comcast.net http://www.interactiongreen.com/wp-content/uploads/2016/05/log-top.jpg mihoyofuji@comcast.net2017-02-02 23:42:252019-01-15 05:49:50Kenya Hara and the aesthetics of "emptiness"
Why is MUJI's minimalist design called Zen? The Japanese household brand MUJI is often dubbed “commercial Zen” for its no-frills, minimalist design and approach. But exactly what kind of Zen aesthetics are seen in MUJI? Two prominent designers Kenya Hara and Naoto Fukasawa give us inspiring clues. 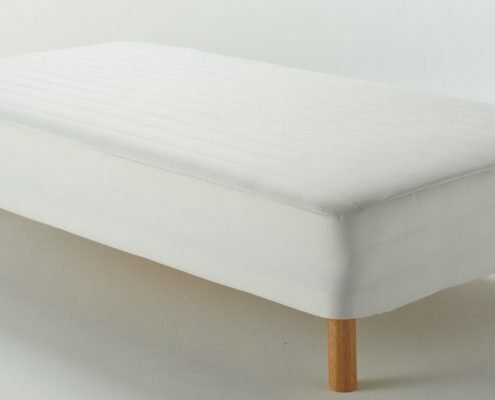 http://www.interactiongreen.com/wp-content/uploads/2016/07/MUJI-matress-rectangle.jpg 632 1260 mihoyofuji@comcast.net http://www.interactiongreen.com/wp-content/uploads/2016/05/log-top.jpg mihoyofuji@comcast.net2016-11-26 06:54:502018-05-06 17:05:23Why is MUJI's minimalist design called Zen? Architect Sou Fujimoto is a master of "ambiguity." With Rental Space Tower, he maximizes the joy of sharing by blurring the boundaries of private ownership. Chapter 1-3: What is satisfaction?